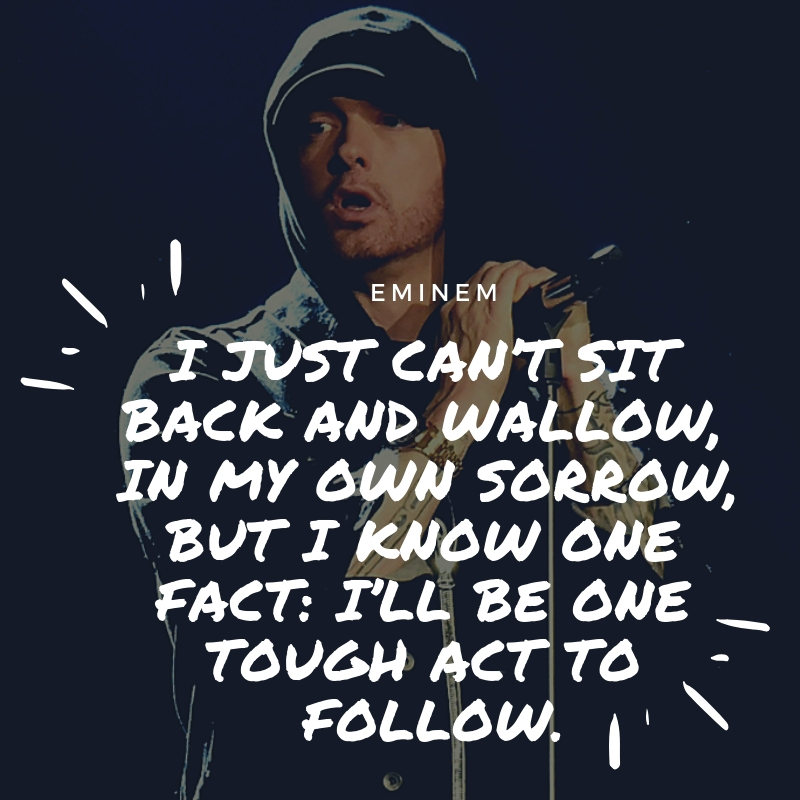 Marshall Bruce Mathers III, also known by his stage names Slim Shady and Eminem, is an American rapper, record producer, record executive, entrepreneur, and actor. He is consistently cited by Rolling Stone as one of the greatest rappers of all time and the King of Hip Hop. 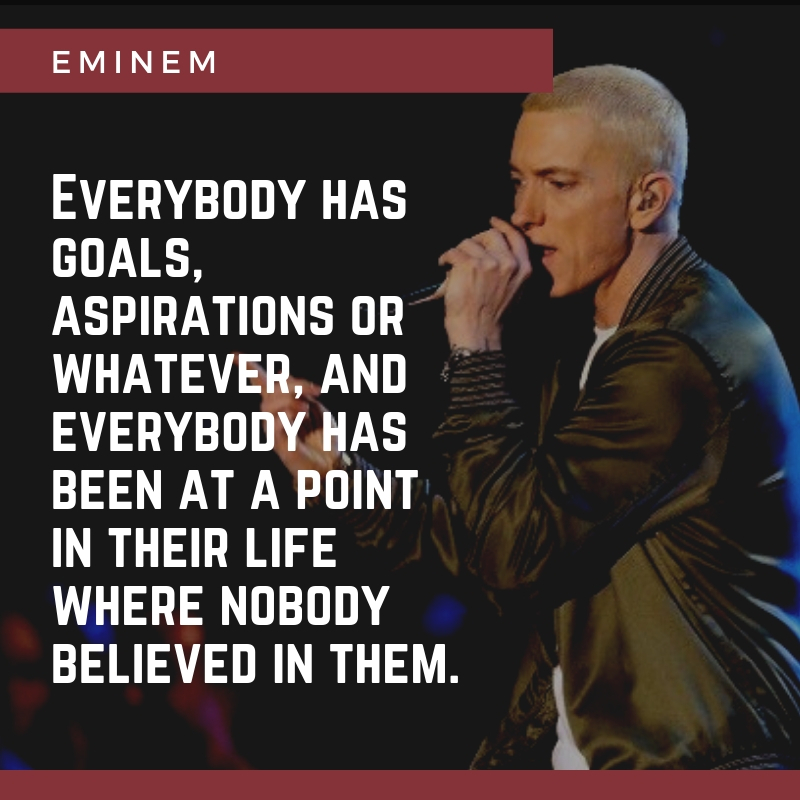 In 2002, he starred in the Hip Hop-inspired movie 8 Mile and sang the official soundtrack Lose Yourself, to which he won the Academy Award for Best Original Song. Eminem’s life story is inspirational. 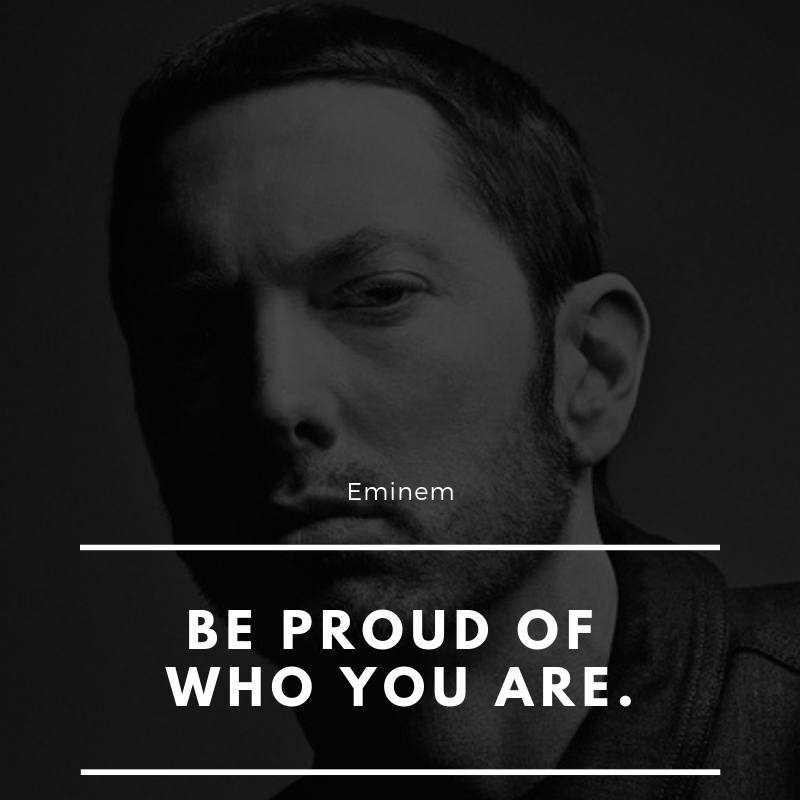 He grew up in a dysfunctional family, got bullied in school, and persevered to become a successful white rapper in a black-dominated industry. You can make something of your life. It just depends on your drive. I just can’t sit back and wallow, in my own sorrow, but I know one fact: I’ll be one tough act to follow. Nobody likes to fail. I want to succeed in everything I do, which isn’t much. 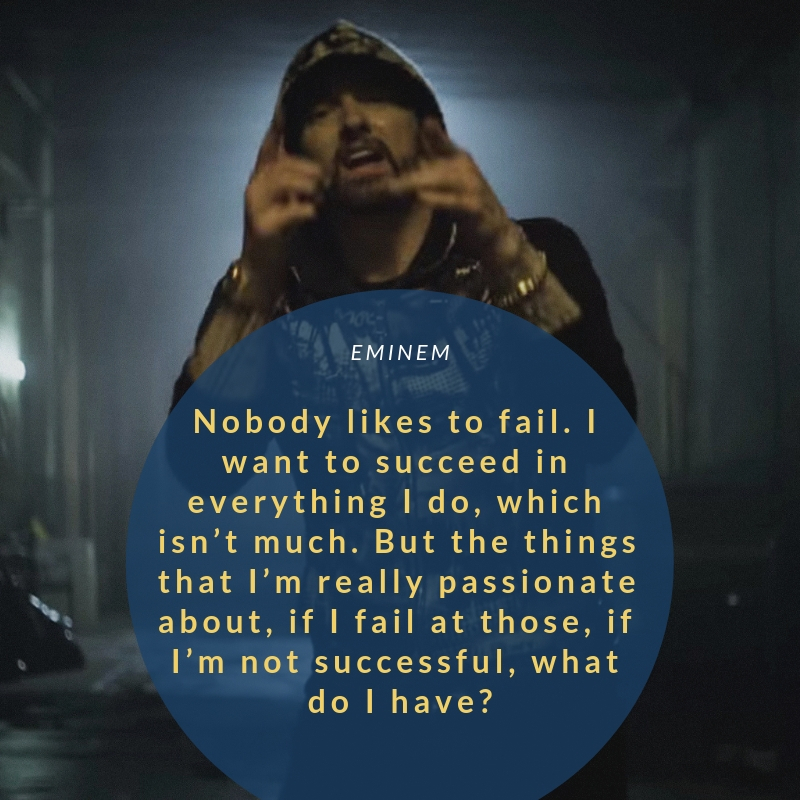 But the things that I’m really passionate about, if I fail at those, if I’m not successful, what do I have? 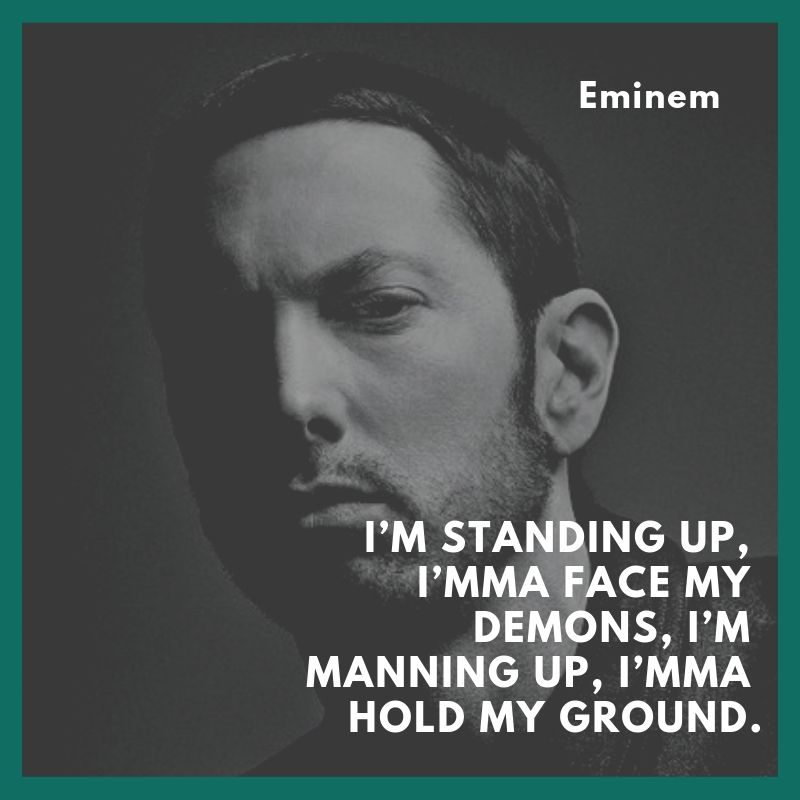 I’m standing up, I’mma face my demons, I’m manning up, I’mma hold my ground. 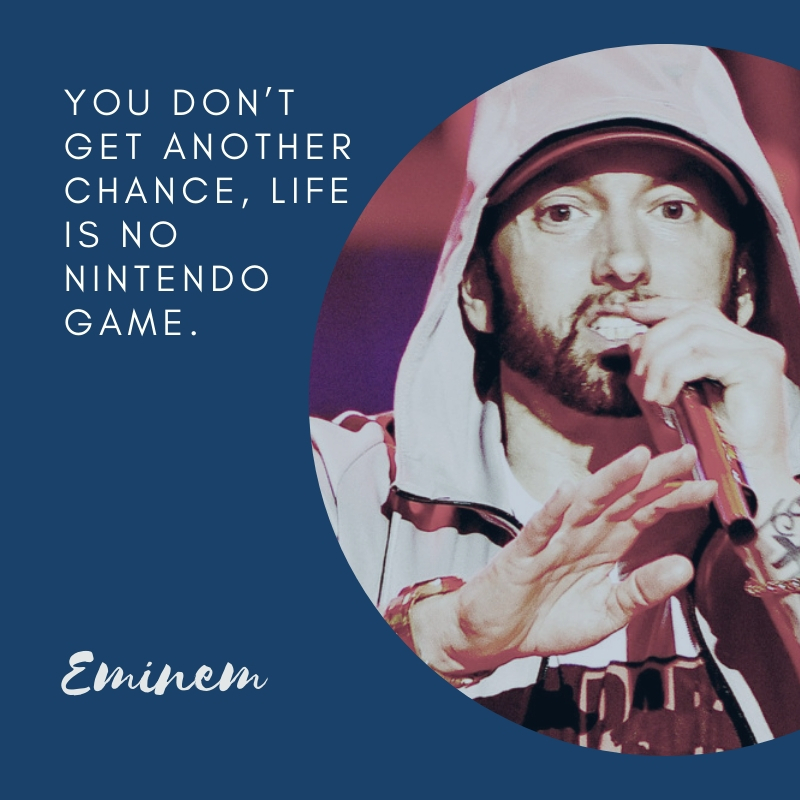 You don’t get another chance, life is no Nintendo game. 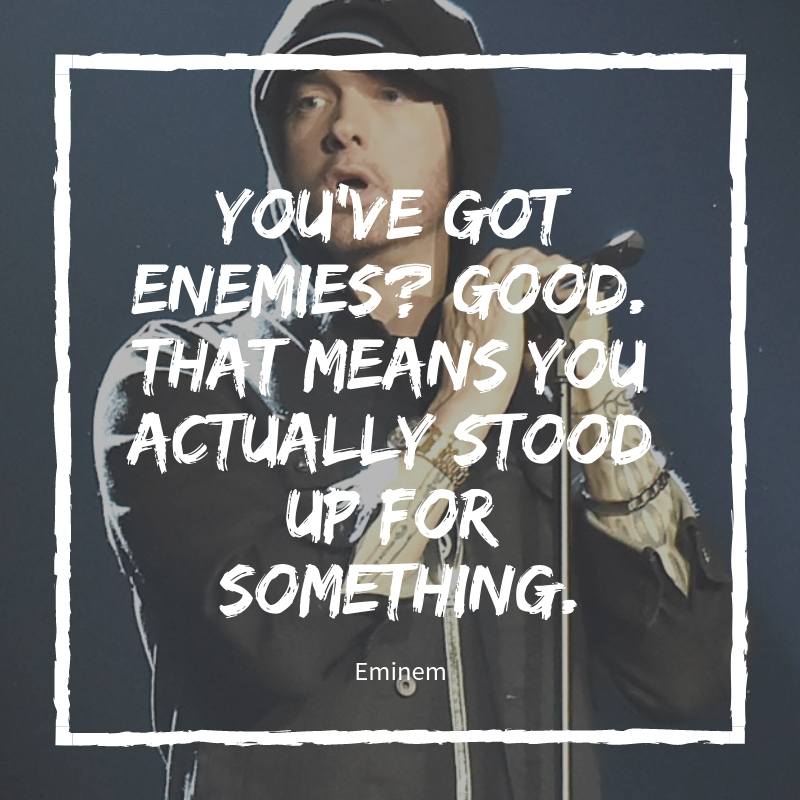 You’ve got enemies? Good. That means you actually stood up for something. 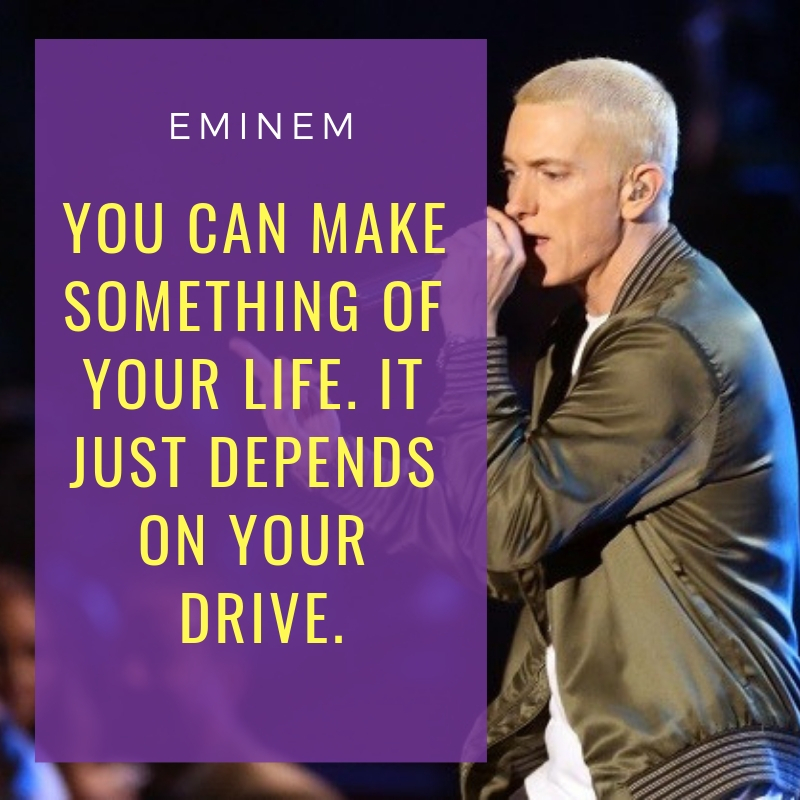 Eminem, Slim Shady or Marshall – however you know Marshall Mathers, he is one of the rap artists who give honest takes about life. 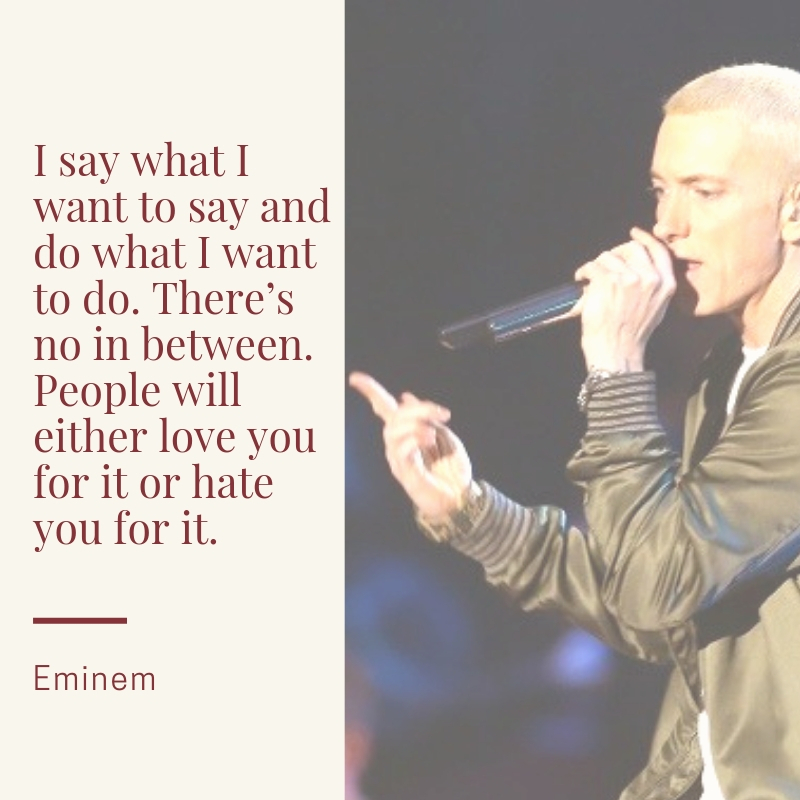 These 10 quotes are from his interviews or lyrics that reflect his feelings about many things throughout his stellar musical career.